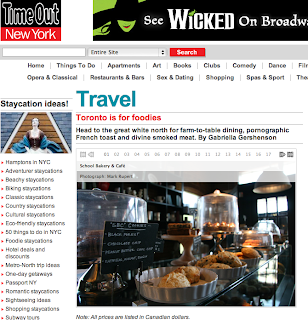 Be sure to check out 'Toronto is for foodies' on Time Out New York's website. Even more exciting, some of my pictures were used for the article! Gabriella Gershenson did an awesome job. congrats on the photo credits!